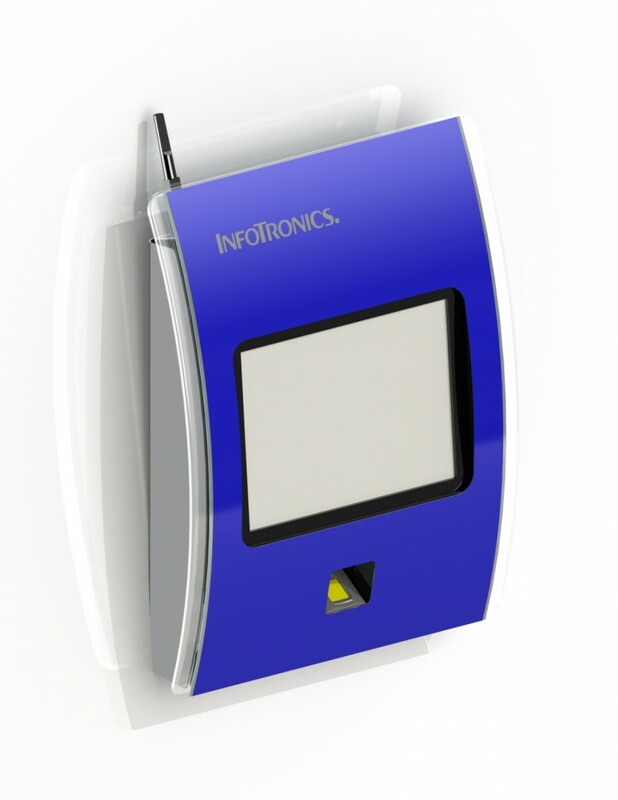 Design and develop a new time clock kiosk for industry-leading time and attendance company. Need fresh concept that would be more modern and stylish to appeal to professional offices. This kiosk design allowed the user to attach different types of scanners. You can use a finger print scanner, and attach a bracket that will work with the two standard card readers. Also the system had a touch screen monitor so that the employee can enter in their employee number. The kiosk also comes with a wifi antenna to allow the kiosk to be placed anywhere in the office without having to have a technician to run cables through a wall to computer mainframe. Another special touch to this design was the front plate which was a thin plate of steel that had the customer’s name etched along with all the edges on the cutouts and the sides to give a nice look against the polycarbonate plate that it placed against. Of the challenges the came with this project was that the customer wanted a design that would allow the user would be able to attach multiple types of scanner devices. And we were given specific dimensions that InfoTronics wanted us to stick with. They wanted the fingerprint scanner to be placed inside the kiosk so we had to find a way to angle the scanner in a way that it wouldn’t make it difficult for a technician to take apart to do any types of repairs. Another challenge was to develop a placement for the brackets the card readers would be hidden and makes it easy to slide a card through. The placement was very important so that any type of person would not have a problem using it. The front plate was another challenge to this design, because it was made from polycarbonate. We had to find a way to bend the material without braking or cracking the material.